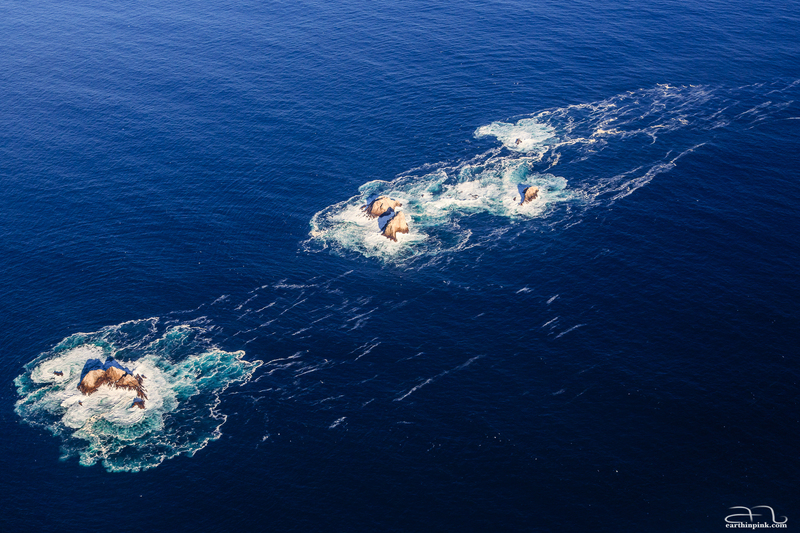 Flying over the smallest of the Farallon Islands, about 30 miles west of the Golden Gate Bridge. At this point, the two pilots of the small Cessna plane we were in were fairly concerned that there was no place to do an emergency landing in case anything went wrong. Luckily, we survived to tell the tale.